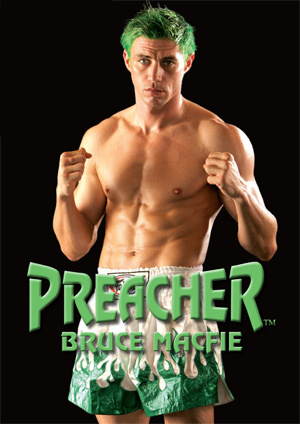 Now you can see for yourself the fight that ended in some controversy as John Wayne Parr fights Bruce Macfie a third time. There were some concerns about official impropriety raised by John Wayne Parr himself. See for yourself how the fight went and draw your own conclusions. This fight took place at the Evolution 21 card held on September 11th, 2010 at the Sleeman Sports Complex in Australia. The fight was to be the definitive 3rd match to decide the longtime rivalry between Parr and Macfie (or at least it was marketed that way). ~ by fatsoking on November 5, 2010.
how the hell did they give that to bruce. 3rd round was his only round where he MIGHT have outscored JWP.